What goes through a bird's mind when you cut down their tree? 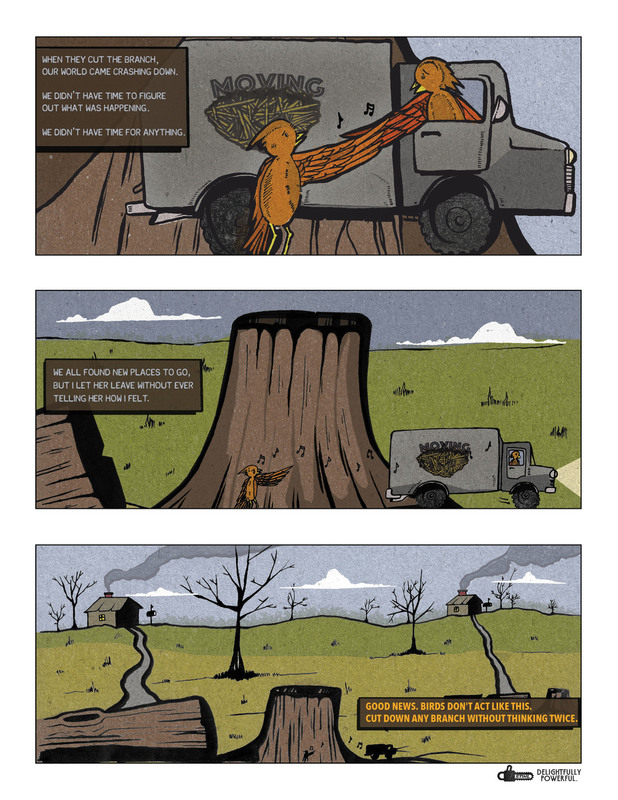 Logan Kornhauser illustrated and I wrote these comics as part of a campaign for Stihl. It was a ton of fun making this piece with Matt Terrell and Shelby Lemons. A VCU Brandcenter student project. Song mix by Matt Terrell. Thanks to Jacob Pankey, Prit Patel and Sara Carr for forming lifelong friendships, starting a band, and letting me film one of your band practices totally candidly.